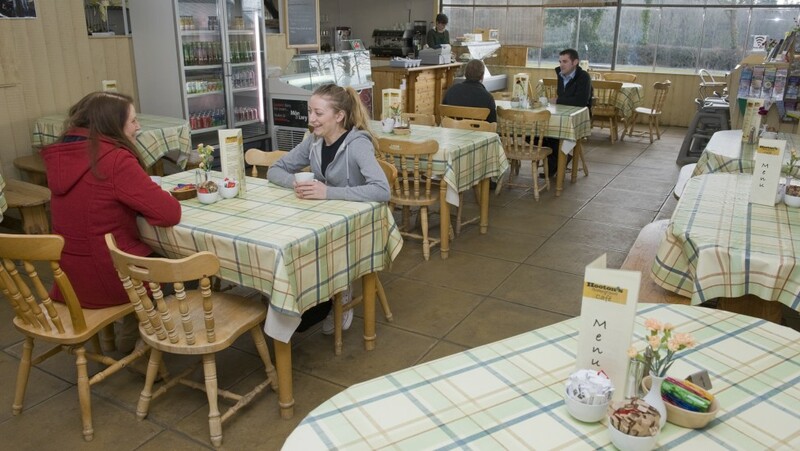 Our café, here in Brynsiencyn, is open all year round, seven days a week. We are very child-friendly, and safe, offering smaller portions of most of our dishes. Marina and her team can serve you with a cooked Hooton’s Welsh breakfast, homemade soup, a variety of hot and cold lunches, and our ever popular Sunday Roast Lunch…where booking is sometimes advisable! Afternoon tea and homemade cake is also on the menu! Everything possible is homemade using our own meat, fruit and vegetables, ensuring quality, freshness and flavour! If the weather is fine, you can enjoy your meal outside at a picnic table or on the lawn, relax and take in the breathtaking views of Snowdonia. During the summer, you can enjoy a Welsh Black Beef burger cooked over Welsh charcoal from our BBQ hut…delicious! We aren’t licensed, but please feel free to bring a bottle! We also offer you a free Wi-Fi service, perfect for those informal meetings, while you enjoy your coffee and homemade cake! Click to see our Hooton’s Homegrown Cafe Menu.